"Five years flies by in a flash, but feels like an eon. 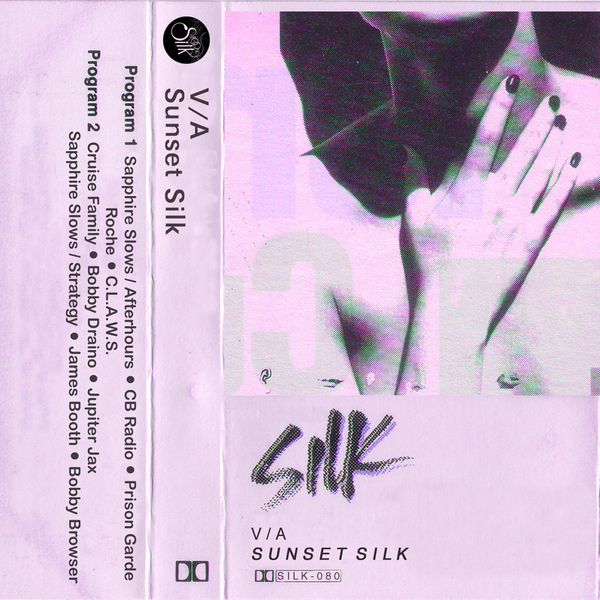 Sunset Silk reflects on the label’s half-decade dim glow in the distance of dance with new tracks and remixes by Prison Garde, Jupiter Jax, James Booth, C.L.A.W.S., Cruise Family (a vintage unreleased 11-minute recording), Strategy, Sapphire Slows, Afterhours, Roche and his brother CB Radio, as well both Bobbys: Draino and Browser. Though the rhythms come far-flung – Montreal, Malta, Vienna, beyond – the approaches feel unified, faded, fogged, and heavily felt. Woozy coastal house, MIDI new wave, cosmic techno, Oakland dark jack, ripper acid, vapor grooves – the forms fluctuate across 60 minutes of shapeshifting SILK. Body music for the arc of sinking suns. Mastered in Portland, Oregon by Alter Echo."